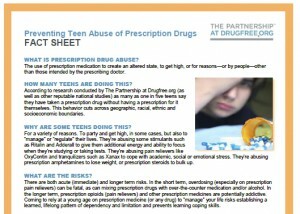 A helpful resource is available from the Partnership at DrugFree.org. How many teens are abusing prescription drugs — and why? And what can parents do to prevent this risky behavior? Find answers to these questions and more in this fact sheet.